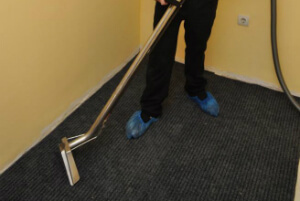 After Building Cleaning Commercial & Domestic Haringey N | Quality Property Care Ltd.
Don`t hesitate to get more detailed information about our reliable & top-notched after builders cleaning service! Contact our understanding and polite customer support representatives via this phone number: 020 3746 4287! Make a quick reservation and deal with the grime without even sweating. The expert cleaning service after builders can be useful to both business and private customers. All people who are moving into a newly built office, house and flat can use the professional help of the reliable and experienced cleaners from the company. The service is suitable for industrial customers, as the company can provide all necessary certificates and specifications. Call Quality Property Care Ltd. or write to the customer care service now to book your after builders cleans now! All picture frames and furniture dusted, glass tables and mirrors cleaned. We again pay attention to the smaller things like fingerprints on light switches and door frames, with expert window sill cleaning. All of the carpets in the property are vacuumed, including under the bed if possible, for not carpeted floors we have a mop for a clean finish. Marks on walls are removed upon request, just like cobwebs and skirting boars wiped down. After we are done we leave all rooms tidy and clean, if you request we can also clean your blinds. Indoor windows cleaning, including window frames and window sills and removing any debris paint and plaster stains. Deep-cleaning the kitchen, the bedrooms, living room, and common areas. Quality Property Care Ltd. is the right after builders cleaning service provider for you, simply call 020 3746 4287 and book a date. Our team of experts is capable of removing even the toughest stains. Our customer care desk is available, free of charge or obligations, simply call and ask your question, we will respond immediately and help anyway we can.